One year of yoga experience. Minimum 40 hours of yoga classes under a certified teacher. A desire to dive deeper into your practice physically and mentally. An open mind – Yoga for us all is personal. Many students come for personal growth and it takes respect, courage and heart to hold space for all who participate, the same kind of space, respect, and kindness we hold for our future students. It begins now at the application process. A flexible, injury-free body. Injuries, tight muscles or weaknesses are not obstacles to success in this program. In fact, we encourage students with all body types and physical challenges to consider this training. Each “limitation” is an opportunity for you to grow, to gently and methodically heal yourself, and perhaps to help others be better prepared to work with injuries or special conditions. This Transformational Yoga Journey is designed to transform your life whether you would like to teach yoga or to simply develop a deeper connection with yourself. Please keep in mind this program primary focus is learning to teach yoga. We used to offer 4-week program with more test time but found more people would like to do it faster, since it’s easier for people to take time off from personal obligations, and it is less expensive. 34 hrs Teaching Methodology: Sequencing, theming, using voice projection, demoing/non-demo. Yin, hot, vinyasa, hatha, & restorative. 10 hrs Anatomy & Physiology: Understanding Muscles,Bones, Alignment, working with minor injuries and brief journey into the meridians. 26 hrs Yoga Philosophy/Ethics/Lifestyle: Pranayama, koshas, chakras, yoga sutras, and meditation. The Business of yoga. If you are interested in joining us for this training, please fill out this form. I look forward to our journey together! And remember, I will be with you every step of the way. ** We do not have any scholarships or work-trade agreements available at this time. *** Please see our cancellation policy here. Kelly Stiglich inspires her students to harness their intuition. Whether it’s to be a different kind of parent, spouse, friend, or to find life’s purpose. Kelly discovered this gentle whisper for herself through yoga after starting for only physical reasons. She had sought a leaner and better-looking body, but discovered peace, joy, fear, anger, frustration, love, compassion, tolerance, and eventually, complete acceptance. Kelly is a 500 E- RYT, YACEP (Yoga Alliance Continued Education Provider) and Ayurveda Specialist. She studied the classical path of Raja Yoga, which is based on the 8 limbs of Patanijali’s yoga sutras, Ayurveda, and Yin. 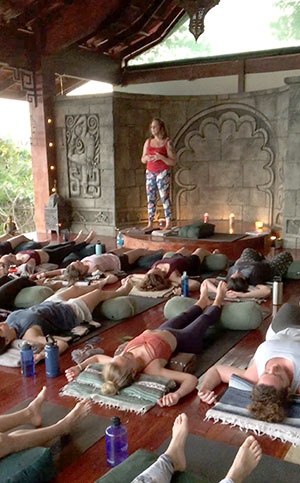 Kelly brings a greater understanding of why different styles of yoga are so beneficial for each student’s unique body. She teaches 200 and 300 hour YTTs as well as the Ascension Alignment Based Aerial Yoga Teacher Certification. 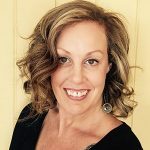 Kelly has lead over 50 workshops, 5 retreats, and 8 teacher trainings in the U.S. and internationally. You will leave this training certified to teach yoga through Yoga Alliance (with your certificate you can apply with the YA online), and you will be very well prepared from all the different aspects incorporated in Raja Yoga’s eight-limbed-path, from asanas to mantras to pranayama to lessons for living as a yogi/yogini. Keep in mind, this is a journey of self-discovery, a time to release attachments to what is familiar and constricting. In order not to disrupt each other’s process, we will, as a group, abstain from the following during the course: sexual activity, drinking alcohol, smoking or drug use. This is not a time to vacation and party; it is a time for purification and clarity. If you are (or will be when you plan to visit) pregnant, or have any of the following health conditions: diabetes, moderate to severe food allergies, injuries, health or heart conditions or arthritis especially if it would prevent you from climbing several flights of stairs (Ananda, Gaia, Hanuman or Ganesh Cabinas) or going on adventure excursions, it is essential to let us know prior to booking. Keep in mind we don’t accommodate pure raw diets and even though we can accommodate gluten free diets, since we also currently serve gluten, we can’t guarantee there won’t be any cross contamination for those who have severe gluten intolerance. Participation in this training does not guarantee a certification. All requirements must be met in order to receive your certificate. This includes: attendance to all classes, lectures and activities and completion of all assignments, before, during and after your time at Anamaya. If you are unable to complete all of the above, you may not receive your certification up to being asked to leave Anamaya so to maintain the integrity and standard of the training. 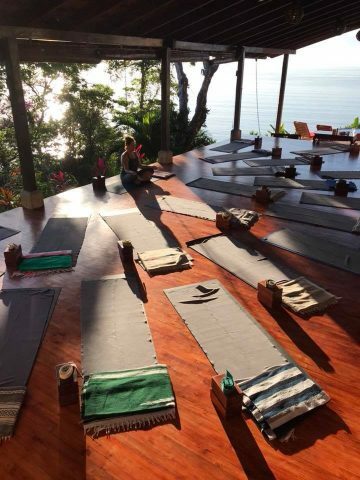 One last thing… if you’re ready to book, then consider adding an extra week or two to your trip by staying at our farm to do yoga and learn about Permaculture! After all, you’re already paying the flight to Costa Rica, and doing a lot of travel, so why not make the most of it? It’s very inexpensive compared with a standard retreat price. THIS IS NOT AT ANAMAYA, but at our Farm, Rancho Delicioso which is 10 minutes from Anamaya. Click HERE for more info. For any more questions, please do not hesitate to ask.